Locate the Internet Options category from your setting menu. 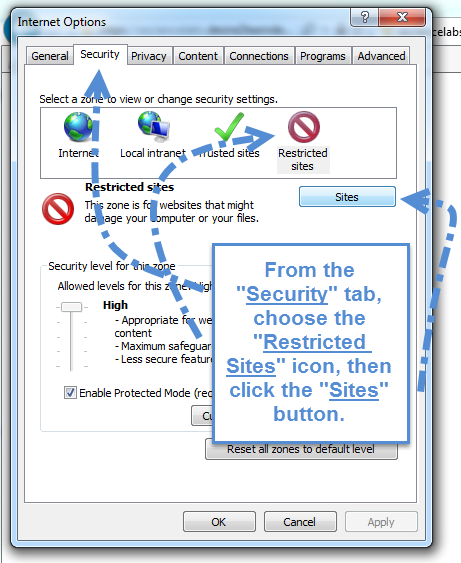 Choose Restricted Sites icon from the Security tab. Then, click the Sites button. Posted by: Amy Sorensen - Fri, Aug 14, 2015 at 1:49 PM. This article has been viewed 4865 times.